Tesla’s unveiling of its new Powerwall 2 battery with a built-in AC inverter in October 2016 – along with some upcoming solar roof tile products – takes a leaf from the Apple playbook of vertical integration. It’s the latest step on a corporate path (including the imminent merger with SolarCity) that moves Tesla closer to being a vertically integrated provider of energy solutions. As with the Apple product ecosystem, this aims to establish Tesla as a single entry point for energy generation and storage systems in the home environment. Tesla has both the name and the resources to become a strong player in this realm. Tesla’s vertical stance contrasts with the ‘horizontal’ orientation of the rest of the industry – a commercial ecosystem that offers choice at all layers of the energy storage system, using standardised interfaces to allow mix-and-match assembly of devices in the solution ‘stack’. 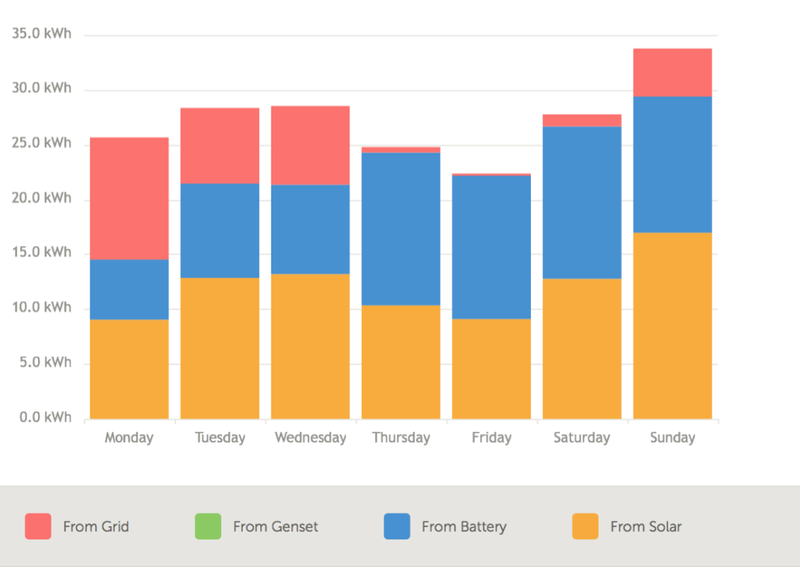 Tesla’s evolving approach stands to put it into direct opposition to former allies – both existing inverter/charger vendors that may be cut out of the Tesla solution set and experienced energy system installers, who may see the presence of hardware ‘handymen’ installing generic/entry-level solutions to often complex underlying energy management problems. Tesla’s Powerwall battery packs are high voltage devices that are not compatible with most industry battery inverter/chargers, which typically operate at 12, 24 or 48 volts DC. The Powerwall 2 unveiling is an interesting day for inverter/charger vendors such as Solar Edge, manufacturer of the inverter of choice for the original Powerwall, which is no longer required with Powerwall 2. Likewise it is an interesting day for Fronius, which makes a three-phase inverter that supports support the first Powerwall version. The launch also impacts SMA, which recently released its SMA Sunny Boy Storage, a high voltage DC Tesla Powerwall-compatible battery inverter – that is now superfluous to requirements. The bottom line for the emerging energy storage sector is that each time Tesla sells a Powerwall 2 with integrated AC inverter, an existing inverter/charger/energy control system vendor books one less sale. As a result, this new approach from Tesla may tend to polarise the market into two camps over time – with a distinct sensibility developing that is akin to the long term battle of Apple vs Android in the smartphone market. In the US, Tesla’s sales proposition adds US$1000 (and adds AU$1450 in Australia) to the Powerwall 2 purchase price to cover installation and associated ancillary hardware costs. One wonders whether this Tesla-determined margin for installers will be sufficient and sustainable for the provision of a professional-grade storage solution to the consumer. This approach may also fail to accommodate specialised situations such as two-phase or three-phase installations, installations that require flexible interconnection, those that requite sophisticated energy flow management; or those that may require the integration of multiple DC or AC energy sources. High efficiency off-grid sites based on direct DC power systems, as in developing countries where pure DC-based energy systems are increasingly the norm. 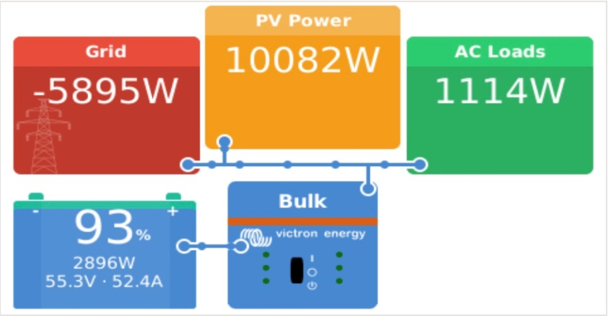 In many cases, it can also be more efficient and effective to DC-couple solar panels to batteries using MPPT trackers than it is to use AC coupling, which requires separate inverters for solar and battery. This is especially relevant in pure off-grid or in grid-failure-backup scenarios, where DC coupled solar-to-battery charging can remove the need to have an AC generator available to ‘bootstrap’ the system in black-start scenarios. Thermal runaway – the industry euphemism for bursting into flames, which can arise in part from the battery’s very high internal energy density. While advanced control systems can mitigate against this vulnerability, there’s always the risk that physical damage can impair or shut down these safety systems. Lithium based chemistries are the undisputed preference for transport applications (such as electric cars). Their high energy density and high peak power output makes them entirely appropriate in such use-cases. 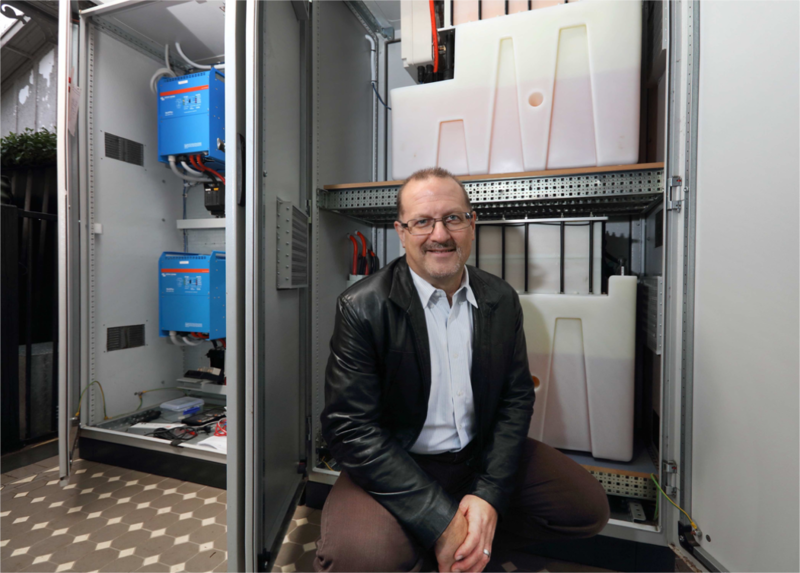 However, a number of great alternatives to Lithium based chemistries exist (and can often be preferable) for stationary energy storage in home, commercial and industrial energy storage and delivery scenarios. For example, Redflow ZCell batteries are a completely different energy storage approach that avoids the downsides of Lithium based batteries as noted above. The ZBM2 storage module underlying the ZCell product also has other unique advantages, such as support for ‘Standby Power System’ (SPS) mode – a ‘virtual generator set’ operating mode. The history of generator set deployment is littered with examples where backup generators simply don’t start up when called upon to do so. In SPS mode, ZBM2 battery arrays can be fully charged and placed into indefinite hibernation. The full stored energy capacity held in the storage array can automatically be brought back online within 30 seconds (and yet with indefinite shelf life while on standby). This acts very much like a generator set but without the ongoing maintenance costs and also without the uncertainty around reliable startup that consistently challenges diesel generator sets. Many industries demonstrate that price is not the only factor when consumers decide to buy. Whether choosing a product – such as a car, a plane ticket, clothing, Internet access plans, or even a seat at the theatre – price is just one decision factor. Safety factors such as the thermal runaway potential for many lithium-based battery chemistries are an example of a non-price consideration that can be extremely significant in many markets. There is plenty of room in what is now a rapidly expanding market for a wide variety of energy storage alternatives. The bottom line is that Tesla’s presence in this market will drive increased interest in energy generation, storage and use. It will help to deliver further momentum to drive demand and adoption of energy storage systems in general. It will also act as a catalyst for other energy generation and storage systems – using a variety of technologies and deployed a variety of physical scales – to each find their own appropriate ‘place in the sun’.